Manda Lavallee was hired as Trinity’s Director of Christian Education in the summer of 2012, bringing a wealth of experience to this important ministry. She holds a Bachelor of Science degree in Recreation and Leisure Studies from Gordon College in Massachusetts and since then has done continuing education in Accounting and Business Administration. 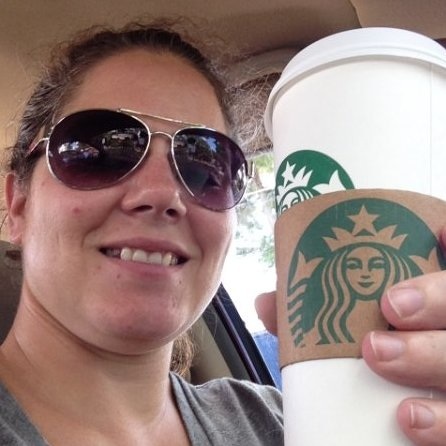 For six years, she worked in customer service, and, in addition to her full-time job, worked part-time as a rock climbing instructor at the YMCA in Granby, and a Barista at Starbucks. During the Summer of 2014, Manda took on the position of Director of Youth and Young Adult Ministries as well. After spending many years volunteering as a youth leader and Sunday School teacher, becoming director of both programs was a natural fit. In addition to all Manda's experience and education, and she would say, most importantly, Manda is a committed Christian who has been an active member of the Trinity Tariffville parish since childhood. She was a student in Trinity’s Sunday School while growing up, and has taught Sunday School at Trinity as an adult. She has both been a member of the youth group, and helped to lead it. Manda is a singer and was an active member of our Contemporary Worship Team for a number of years. Manda is enthusiastic about shepherding Trinity’s children and students, and invites volunteers to join in this important work. Continuing education in Accounting and Business Administration. Continuing education in Children's Ministries.